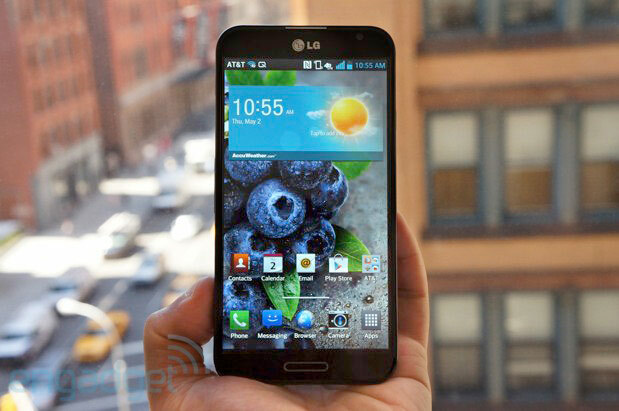 LG to Host Event on 7 August – Snapdragon 800 Powered Optimus G? Just yesterday, LG and Qualcomm together teased something which will be launched in Q3 this year – a device that is powered by the next generation Qualcomm Snapdragon processor, the Snapdragon 800 CPU that delivers the “ultimate mobile experience”. According to Qualcomm, the Snapdragon 800 processor will redefine the smartphone experience, giving it a stunning performance, rich graphics and something everybody can’t get enough of – outstanding battery efficiency. The processor is even designed to allow LTE to be even faster by maximizing spectrum bandwidth to increase data speeds and reduce latency. Today, LG sent out an invitation for an event which will be held on 7 August 2013 in New York City, what will they be showing off? Nothing has been mentioned but with such perfect timing, it’s not surprising that it will be the next generation LG Optimus G that is powered by Snapdragon 800. I’m personally very excited about this, apart from a quicker and more efficient processor, I do hope LG pays more attention to its UX on its future smartphones. The company has great potential, it just needs to be slightly more aggressive. More information about Snapdragon 800 available after the break. Qualcomm IZat Location technology, featuring GNSS for more accurate navigation and location services.